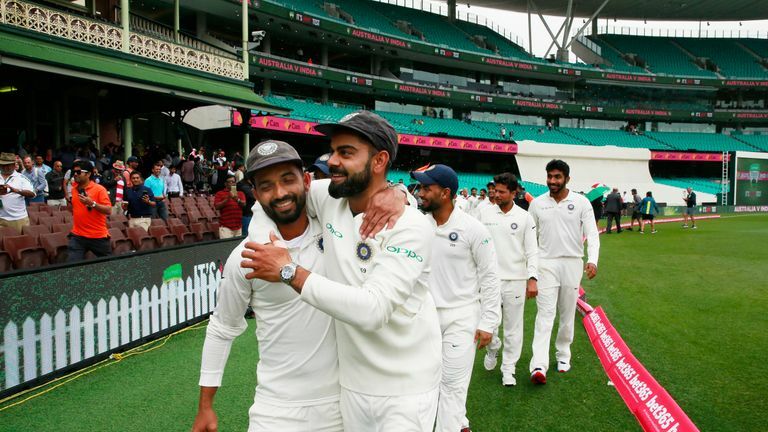 India are celebrating a first series victory in Australia after the fourth Test in Sydney ended in a draw. Virat Kohli's team entered the final day with hopes of a 3-1 series victory as well as a first win at the SCG since 1978, but rain meant there was no play on Monday and umpires called it off early. 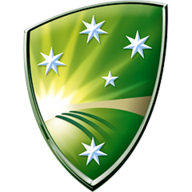 Australia had reached 6-0 in their second innings by the end of day four after being asked to follow on, with Marcus Harris unbeaten on two and Usman Khawaja four not out. 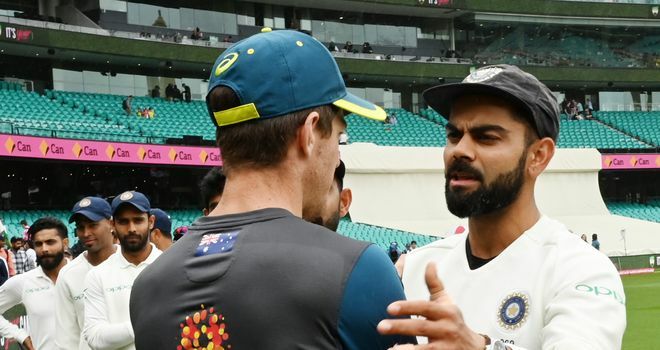 India captain Virat Kohli praises his side's hard work and belief after a first series victory in Australia. Harris' first-innings 79 was the highest score of the series for an Australia side badly missing Steve Smith and David Warner, whose year-long bans for ball-tampering elapse on March 29. 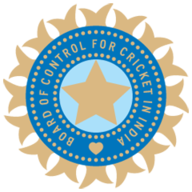 India effectively ended the Sydney match as a contest by scoring 622-7 declared over almost two full days. Cheteshwar Pujara (193) scored his third century of the series and Rishabh Pant made 159 not out. Australian batsmen have scored only one century in a year - Khawaja's 141 against Pakistan in Dubai - while India had five centuries in this series alone. India won the first Test at Adelaide by 31 runs and then the Boxing Day Test in Melbourne by 137 runs to retain the Border-Gavaskar trophy. Australia's sole success came when they won the second Test in Perth by 146 runs. Tim Paine's men have only two more Tests - at home to Sri Lanka later this month - ahead of the Ashes in August. Watch Australia take on England in the Ashes and Women's Ashes this summer - only on Sky Sports Cricket.